Editor’s Note: This is an excerpt from the book It’s All About Bob (bie): Strategies For Winning With Your Employees, published by The Workforce Institute at Kronos Incorporated. When I talk to companies on a daily basis, they aren’t complaining about recruiting Millennials as much as they are about retaining them. before leaving for a new company. There are many reasons why Millennials leave your company. First, since their adulthood has been delayed, many Millennials didn’t have the time or opportunity to learn more about themselves and the type of company culture and work they wanted to focus on post-graduation. They take a job at a company and soon realize that it isn’t a good fit for them in the first place. This is why the best retention strategy is a strong recruiting strategy. If you hire for cultural fit, it increases the chances that an employee will stay with you longer. The second reason is because talent is much more accessible today than in the past decade. Through services like LinkedIn, the best Millennial talent is being bombarded with new job offers and Millennials are willing to switch for a better culture and/or more money. This puts more pressure on companies to create a unique culture that supports Millennials and gives them competitive benefits and salaries. Third, if managers are really bad at setting expectations for their employees and if Millennials don’t see opportunities to move up, they move out. Your job is to set honest expectations for younger workers so they know that if they stay longer, they will be rewarded with a better title, more money, and opportunities to grow. These retention issues cost companies a lot of money, especially those with hundreds or thousands of Millennial employees. A few years ago, we did a study and found that it costs $20,000 to replace each Millennial employee. If you lose 100 employees, that’s $2 million. What’s worse is that by losing employees, it puts more pressure on other workers to fill in and it can take months to replace each worker. In the same Randstad study previously mentioned, we found that Millennials want to work with subject matter experts who have a great work ethic. By hiring talented Millennials, you will naturally attract more talented Millennials, so use your talent as a recruiting tool. Furthermore, identify key traits of candidates to ensure they are willing to work hard and inspire their co-workers to do the same. One way to ensure that Millennials stay at your company is to give them a higher purpose. A recent Deloitte study found that Millennials want to work for a company that is making a difference in society, not just a profit for shareholders. We’ve found that over a third of Millennials want their employer to give back to the community. At Microsoft, 65 percent of employees raise money for various charities by participating in more than 300 activities including a 5k run and an online auction. At JetBlue, 1,900 crew members and volunteers have donated their time to plant more than 1,200 trees. employees to log more than 60,000 hours of service annually. Each of these companies not only creates volunteer programs, but also communicates them to their employees and the public at large. They do this to show that they aren’t just in business to make money but actually care about making a difference. This engages Millennials on a deeper level. benefit the team, the company, the customers, and the world. When you hire Millennials, you want to project your vision, mission, and values because they must be aligned to retain them. In America at least, everyone is always working, yet Millennials want time to spend on personal activities. They don’t believe in the 9-to-5 work day and want to integrate their personal and professional lives together. Technology has enabled them to work from home, while still collaborating. There are fewer barriers between what they do in the office and what they do at home. A recent study we conducted with the CareerArc group found that 30 percent of employers expect employees to be accessible outside of the office by phone and email. Due to the growing demand of Millennials wanting a more flexible workplace, more companies are creating programs that allow them to work remotely on a regular basis. For instance, at Aetna, about half of employees work from home full-time. It’s saved the company tens of millions of dollars in real-estate-related costs as a result. Another great way to engage Millennials is to invest in their careers through training and development. Millennials want to learn as much as they can because they are still early in their careers. Create mentoring programs to pair them up with executives. Let them teach your executives how to use new technology for their benefit and then have your executives support their career aspirations. This way, Millennials will feel more connected at your company, work harder, and have support when their manager isn’t around. Aside from mentoring, Millennials also seek real-time feedback, enjoy learning from gamified applications, and often choose to enroll in both rotational and leadership development programs. Real-time feedback helps Millennials improve along the way rather than have to wait a year to see what they did right and wrong. because they grew up playing video games and that’s how they learned and developed as people. By using applications you can create simulations that allow them to perform actions without actually performing them. Additionally, gamified applications create competition between Millennials, forcing them to learn and constantly improve so they can keep up with their peers. Rotational programs have always appealed to Millennials, who use them to figure out what they want to do with their careers, while traveling and experiencing different departments. Many organizations complain that their investment in these programs doesn’t pay off because Millennials end up leaving anyway. In order to prevent that, companies need to create a better transition period between the program and the full-time job. They also need to do a better job of pairing the Millennial employee’s strengths and personality with the right job and group. One of the biggest complaints from Millennials is that there aren’t enough opportunities to move up in an organization. Part of why that happens is because companies insist on hiring more externally than from within. It costs about 1.7 times as much to hire externally since you have to advertise for the job, pay a staffing firm, and then there are the productivity losses from having a void on a team. By hiring internally, you are giving Millennials a chance to grow and move either vertically or horizontally through your corporation. Hiring internally allows your talent to develop, increases employee morale, saves you money, and it takes weeks to hire someone internally versus months for external hires. When I speak about Millennials, I have no choice but to talk about their use of technology. It’s not only what audiences and customers want to hear, but technology is one of the three biggest movements that have influenced Millennial behaviors (family and the economy are the other two). A recent Jobvite survey reports that 94 percent of companies use social media to recruit, and more and more job seekers are using their smartphones to find work. What’s even more interesting than using technology to recruit is using it to connect Millennials in the workplace. When I worked at EMC, we created “EMC ONE,” an online community where employees could blog, create wikis, and share documents. Before I left EMC, we had about a fourth of all employees using EMC ONE. It was powerful because it flattened the organization, created stronger networks, and helped people solve problems faster. In order to appeal to Millennials, companies need to embrace technology from the top down, use internal social networks to engage them, and never block social media sites. Aside from technology, Millennials have been inspired by entrepreneurship. Now that the cost of building a business is much cheaper, and information on how to build a business is free on the Internet, Millennials view entrepreneurship as an alternative to a “real job.” Companies can attract these entrepreneurial Millennials by providing internal support systems and resources that allow them to act like a startup founder while in a company. For instance, LinkedIn has their [in]cubator program where employees collaborate on an idea and then pitch it to executives. If it gets funded, the team will work on the project, which will potentially have a high ROI for the company. And, Google has the 20 percent program where employees spend 20 percent of their time doing projects outside of their job description. These are only two examples but they both empower Millennials to use the resources — and brand — of a larger company to pursue their entrepreneurial ambitions. Our research also shows that Millennials want honest leadership. They desperately want business leaders to be transparent and to be included in more discussions. Millennials are the first generation to actively talk about their salaries in the workplace, something that most companies try to discourage as it can end up costing them money and potentially creating a hostile environment due to perceived or real inequality. The reality is that Millennials don’t trust Chief Executive Officers, politicians, or any other business leaders, so your job, as an organization, is to gain their trust. The more you are upfront about your workplace expectations and the health of your company, the more your younger workers will trust you and work harder for you. If you aren’t honest with them, they will find out anyway by Googling or asking other employees. Of course different workers have different needs and desires. There are several strategies that can help retain younger workers — offering flexibility, training and development, real-time feedback, rotational programs and growth potential, technology and social collaboration, entrepreneurship opportunities, and honest leadership — which all can be used to show how Millennials connect to a higher purpose within the organization. Dan Schawbel is the founder of WorkplaceTrends.com, a research and advisory membership service for forward-thinking HR professionals. 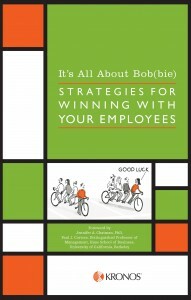 As a career and workplace expert, Schawbel is the New York Times bestselling author of Promote Yourself and Me 2.0. He has worked with numerous companies including American Express, IBM, Time Warner, Ericsson, CitiGroup, McGraw-Hill, and Siemens.